I find this outbreak so fascinating, and loved your very well-written article. Considering the fact that less than a century’s worth of solid evidence exists, I imagine that the 1884 outbreak may have been one of several in the past few hundred years that was larger than 4/27/11. Imagine – seven, eight, ten or more EF5 tornadoes in a single day! Thanks, I appreciate the kind words! 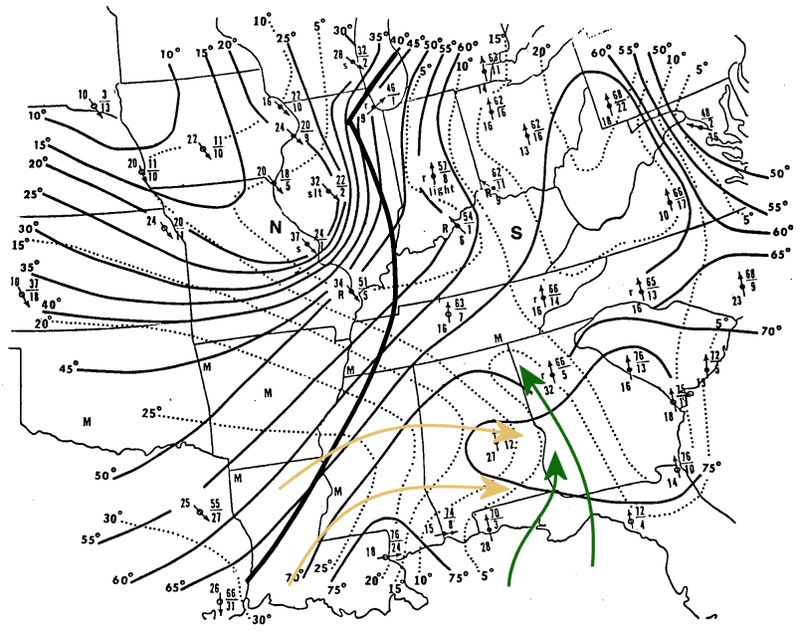 Yeah, this outbreak and the 1932 Deep South outbreak (among others) are very intriguing. I’m sure there have been even more intense outbreaks in the distant past. I still wonder about some of the tornado outbreaks in Canada, too, where much of it goes undocumented because it’s so sparsely populated. Even today I have a feeling we’re underestimating how frequent strong/violent tornadoes actually are because we don’t have the means to detect them directly. There are a number of tornadoes in the past two years alone that I suspect were probably violent tornadoes, yet they were rated EF1 or EF2 because they didn’t impact any significant structures. Even more, I imagine that more than 90% of all tornadoes capable of causing EF5 damage are not rated as such. The chances of a tornado reaching EF5 intensity while also passing over a “home of superior construction” is incredibly small. Reviewing extensive aerial images of tornado paths through forested areas on 4/27/11, I could clearly make out vegetation damage similar to that seen after the Phil Campbell storm in the paths of tornadoes rated as EF4’s or less. There were likely 10+ tornadoes on that single day that could have caused EF5 damage. That’s true, too. Probably most strong to violent tornadoes are capable of EF5 damage at some point in their lives, even if only briefly. The EF scale is a huge step in the right direction, but there are still plenty of unresolved issues. I always wondered why there aren’t DIs for various vegetation and vehicles. They’re used by survey teams, but as far as I’ve seen they aren’t official DIs. Except for trees, obviously. But things like grass scouring, low-lying shrubs, vehicles tossed long distances and mangled beyond recognition, etc. Maybe there are too many variables to standardize it — the dampness of the ground, the types of vegetation and possibly time of year, type of soil and so on. But I’d think it would be useful in cases where no traditional damage was caused. I also agree that there were likely many more EF5s on April 27. I can think of at least three or four off the top of my head and I’m sure there were others as well. I’d love to see what the final tally would’ve been had this occurred back in ’74. I’ve been working on a post comparing the two but I seem to keep getting distracted with other posts. I probably should start sticking with one at a time rather than writing six or seven at once. Oh, I’m finishing up a post on the Palm Sunday tornadoes and there’s one paper I’ve been trying to get my hands on but I can’t find it. I’ve seen a few references to Fujita’s “Estimated Wind Speeds of the Palm Sunday Tornadoes” — apparently it’s one chapter in a larger study? — but it doesn’t seem to be available except from TTU’s archives. I actually have no idea whether there’s worthwhile information there or not, but it piqued my curiosity. Do you know anything about it? I’ve read most of Fujita’s papers but never heard of that one, unfortunately. 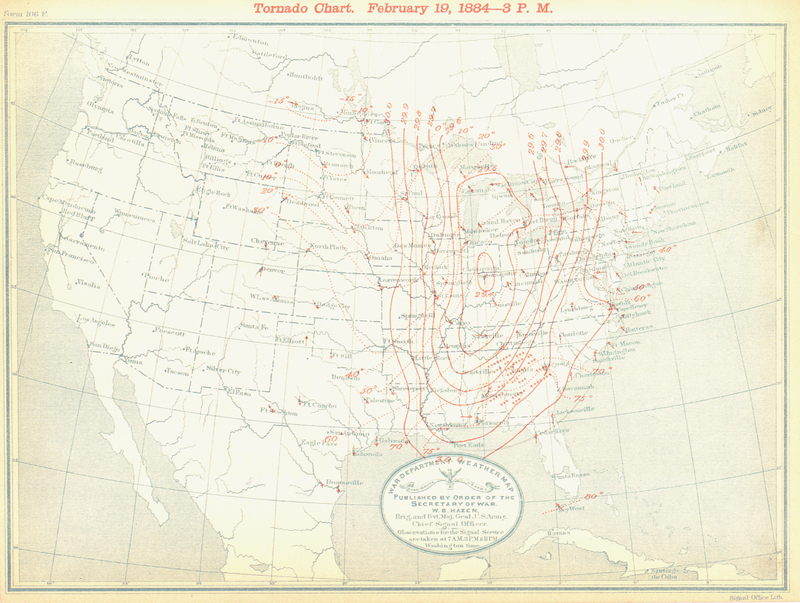 Along with the May 1896, 1902 Goliad Texas, 1908 Dixie, 1920 Palm Sunday, and the May–June 1917 events, this is, to me, one of the most impressive “pre-radar” and “pre-record keeping” tornado outbreaks/sequences to research and find well-written and informative articles about. Keep up the good work! Thanks John. I have a few articles that are partially written, the 1920 Palm Sunday outbreak is one of them. There are several older events that I think are fascinating. I’ve been working on the 1893 Pomeroy, Iowa tornado as well since I have a ton of resources for that. I’ve gotta start focusing on one article at a time so I can get them done, haha. That’s what I thought it was too, but there are several references that state it as being Chapter VII of “A Comprehensive Study of the Palm Sunday tornadoes” so I wasn’t sure. Maybe it is the same thing after all. I contacted TTU but didn’t get a response. I suppose it’s not a big deal either way, there’s already a ton of information available about the outbreak. I googled “A Comprehensive Study of the Palm Sunday tornadoes” and the first result was this link to Amazon: http://www.amazon.com/Estimated-wind-speeds-Sunday-tornadoes/dp/B0007FDKWI It’s possible they could both be the same thing, just were published a few times under different titles. In the PDF link, it’s Chapter 8, which is just one number off from 7. Not sure, just wouldn’t be surprised if they were both the same document. And “VII” could be a typo for “VIII”, who knows? And I wasn’t trying to rush you into a bunch of articles, haha. The amount of Dixie Outbreaks really interest me, especially since information on them is rather scarce. Have you thought of doing an article that covered the history of tornadoes in “Dixie Alley”, given how severe the lack of information is on older events? Actually I’d like to do a post covering several aspects of tornado climatology, including the issues Max and I talked about above. It’s likely that we’ve substantially underestimated the frequency of tornadoes which are capable of causing violent-level damage, and it’s also likely that we have an incomplete understanding of the distribution of tornado frequency because of population differences. Anyway, if you have suggestions for any particular thing you’d like to see, feel free to send me an email. I put the link on my “About” page. I have a ton of topics to cover, but it’s nice to see which ones people are most interested in. 1. What tornadoes of the 2011 Super Outbreak do you think likely achieved EF5 intensity? I have a few potential candidates as well. 2. Do Southern New England, the Ozarks and the St. Louis Metropolitan Area have their own little “Tornado Alleys”? Or is that just me? Off the top of my head, I think you could make a case for Raleigh-Uniontown, Argo-Shoal Creek-Ohatchee, Cordova, and Ringgold all having attained EF5 intensity for at least short periods. I haven’t seen any conclusive evidence so I think it’s probably appropriate to go EF4 for each of them, but I think it’s likely that at least a few of them reached EF5 at some point. The example that stands out the most is the damage along Cherokee Valley Road in Ringgold. A number of homes were swept completely away and scattered, at least one of which appeared well-built. The trees in the area were twisted and snapped near ground level as well. They went conservative with EF4, but I personally think it deserved EF5. The others completely leveled homes as well, it’s just a question of how well-built they were. Some of them also threw cars very long distances. As for the mini tornado alleys, yeah, sort of. I don’t think I’d consider them “Tornado Alleys,” but there are definitely local minima and maxima. There’s some thought that these clusters are influenced in part by geography, which makes sense. There have been a few studies done on that, and I believe some presentations at AMS conferences. Parts of southern New England do have locally higher tornado frequency, though it’s harder to draw a conclusion in that region because there’s a smaller sample size. The St. Louis Metro certainly looks like something of a hot spot, though it’s difficult to say for sure because of the variation in population density. Some areas appear to be hot spots because they have higher population (and thus more likely to detect tornadoes) than surrounding areas. And Arkansas actually has a very high percentage of strong-violent tornadoes as compared to most other states. Curiously, though, it’s the only state east of the Rockies and west of the Appalachians that has never (to date) been hit by an F-5 or EF-5. Wikipedia’s list of unofficial F-5 tornadoes prior to 1950 and disputed/possible F-5’s since 1950 also shows none in Arkansas. One of many oddities in the tornado record. Arkansas, for the most part, is a pretty sparsely populated state, and it’s got a lot of heavily forested and mountainous areas. That makes it less likely that an appropriately well-built structure will happen to be in the path of a tornado, while (E)F4-level damage indicators may be a bit more common. It’s still a bit strange though. It’s also a largely poor state and, while I don’t know for sure, I think it’s likely that many homes aren’t built well enough to serve as EF5 DIs anyway. In any event, there have been a couple tornadoes that could very well have been rated F5. 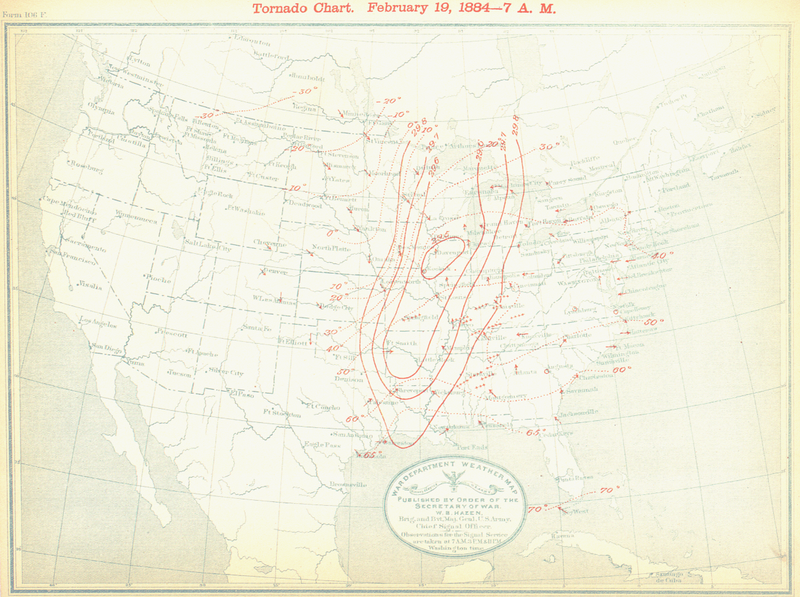 The Sneed tornado of April 10th, 1929 was almost certainly an F5. There’s no way to know the construction of the structures it encountered, but many of them were so thoroughly demolished and granulated that much of the debris looked like kindling and wood chips. The Clinton tornado from the Super Tuesday outbreak also comes to mind. I haven’t seen any damage that clearly suggests it was an EF5, but it was on the ground for 122 miles and I think it’s pretty reasonable to assume it attained EF5 intensity at some point along its path and simply didn’t encounter any EF5-level DIs. Ultimately I think it’s more a product of the limitations and imperfections of our rating system than anything else. I think things would look quite different if we had some way to accurately gauge the intensity of all tornadoes without relying on damage surveying. Well, I can dream. There would not have been a “slave population” in the South in 1884, since slavery had been abolished in 1865. That said, undercounting or not counting tornado fatalities among African-Americans continued to be a common practice in the South at least into the 1930s. I’ve read that the death tolls from the back-to-back Tupelo, Miss. and Gainesville, Ga. tornadoes of 1936 (both of which killed over 200 people) may be double the number reported since “colored” residents were not included in casualty lists. Whoops, thanks for catching that Elaine. I’ll fix it. Unfortunately you’re right, and I’d say that many tornadoes actually had substantially higher death tolls than were reported. Even in the fairly rare cases where African-Americans were counted, oftentimes no one bothered to follow up with those who were critically injured. You’d think it would happen more often, but thankfully it doesn’t. It’s mostly a product of the fact that tornadoes, even especially large ones, are a pretty small-scale phenomenon, and even large cities only occupy a very small chunk of a state’s land area. Take Nashville, for example. It’s one of the larger cities in the United States in terms of land area, but it still only makes up just slightly over 1% of the total land area of Tennessee. Even the 4/27/11 outbreak, which probably left more tornado damage in one state than any other on record, only damaged just over 1% of Alabama’s total land area. That’s an incredible amount of damage, but it’s still tiny compared to the size of the state itself. I guess that’s a long way of saying, although it’s hard to believe given the sheer number of tornadoes in large outbreaks like this, the probability of any given tornado striking a large metro area is extremely small. With that said, the Leeds tornado was probably only ten miles or so from downtown Birmingham. I think it’s even more incredible to think that the death toll may have been so high despite not striking any large cities. My great Uncle’s wife was killed in the 1884 outbreak and so were her children at a town called Blountsville Jones County GA.
Hi William, thank you for sharing! I don’t suppose you have any more information on that, do you? The Blountsville-area tornado seems to have been very intense (Grazulis rated it F3, but IMO, it may have been more intense than that) but there’s not a whole lot of information available. I ACTUALLY DO CREDIT THE HOOSIER AND CAROLINA ALLEYS AS DOES DR. GREG FORBES OF TWC. THE ENIGMA OUTBREAK ACTUALLY OUTRANKS THE CAROLINAS OUTBREAK OF MARCH 28 1984 THAT SENT 22 TORNADOES ACROSS THE TWO CAROLINAS ON THAT TERRIBLE WEDNESDAY BACK IN 1984. THE WIDEST TORNADO DAMAGE PATH KNOWN TO OCCUR ANYWHERE IN OUR NATION WAS ACTUALLY IN ROBESON COUNTY DURING THE INFAMOUS EVENT THAT NIGHT…2.5 MILES WIDE BETWEEN MAXTON-RED SPRINGS IN NORTH CAROLINA. FUJITA AND STEIGLER INITIALLY THOUGHT THAT PARTICULAR MONSTER MAY HAVE BEEN AN F-5 IN PORTIONS OF SCOTLAND AND ROBESON COUNTIES. FUJITA TAGGED IT WITH AN F-4 RATING. WINDS WERE ESTIMATED AT 260 MPH IN THE BEHEMOTH . TANDEM F-4 GIANTS RACED ACROSS MARLBORO AND INTO SCOTLAND COUNTIES THAT EVENING LEAVING A CUMULATIVE DAMAGE SWATH OF 5 MILES WIDE !!! 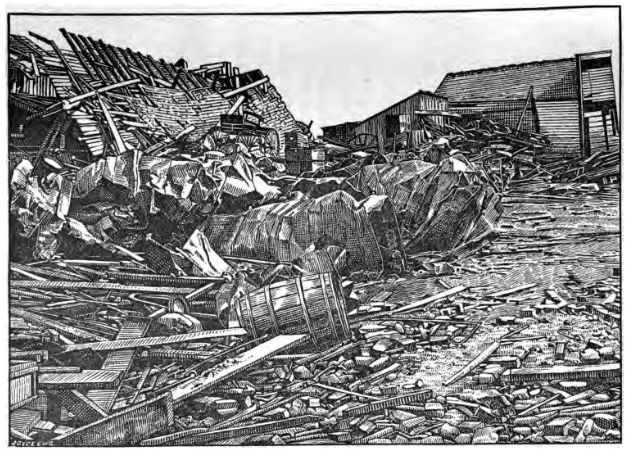 THE SMALL TOWN OF NORLINA NC WAS COMPLETELY FLATTENED OR BLOWN AWAY BY A LARGE AND DEADLY TORNADO DURING THE ENIGMA DISASTER. 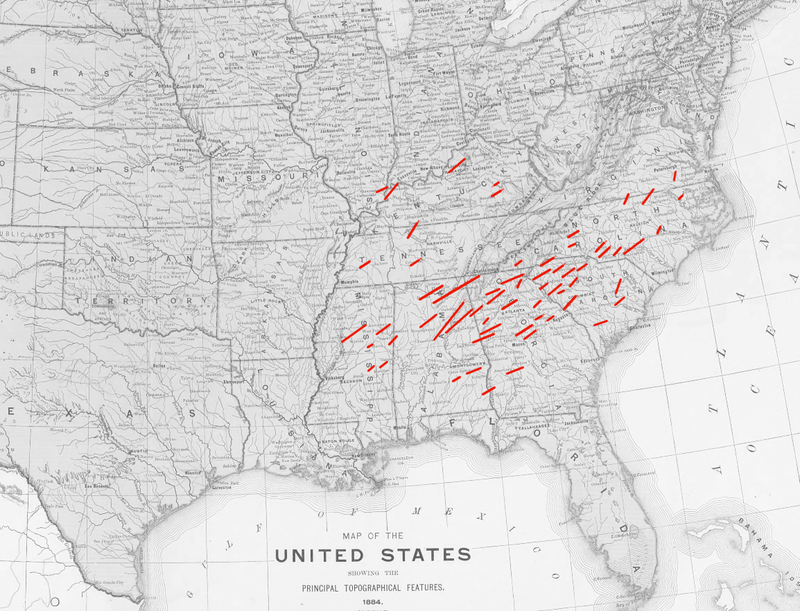 THE OFFICIAL NUMBER OF F-4 STORMS WITH THE 1884 ENIGMA OUTBREAK IS JUST 4 STORMS….ONE IN ALABAMA AND ONE IN GEORGIA…PLUS TWO MORE IN NORTH CAROLINA……BUT THE REAL NUMBER OF F-4`S SHOULD PROBABLY HAVE BEEN ABOUT TWICE THAT NUMBER OVERALL. SEVERAL OF THOSE THAT WERE CATEGORIZED AS SUCH ARE ALSO SUSPICIONED TO HAVE POSSIBLY REACHED F-5 STATUS AT SOME POINTS ALONG THEIR DEVASTATING TRAILS. 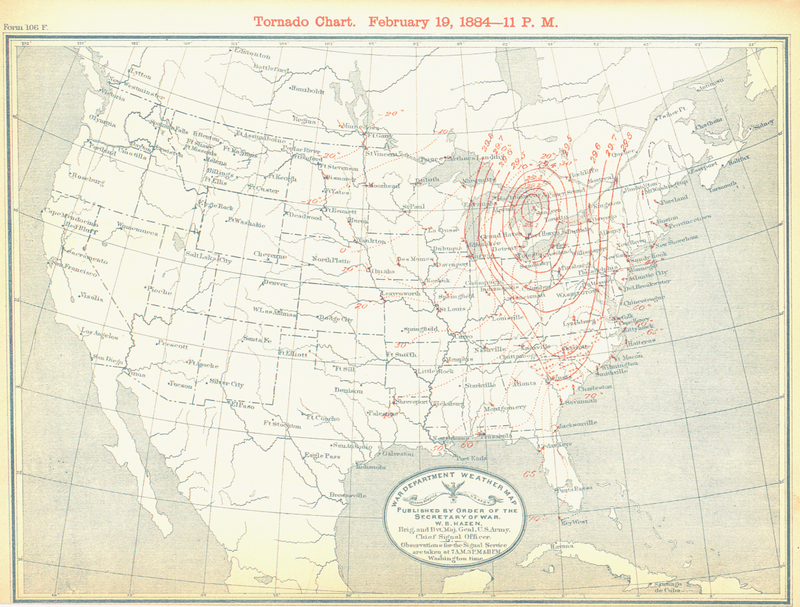 ON THE RANKING OF THIS NATION`S MOST VIOLENT TORNADO OUTBREAKS FROM 1880-1995….THE ENIGMA IS RANKED WELL UNDER THE MARCH 28 1984 CAROLINAS OUTBREAK THAT IS PLACED PROMINENTLY AT NUMBER 10 MOST VIOLENT. FUJITA RANKED 7 F-4 TORNADOES IN THE CAROLINAS OUTBREAK OF 1984.DR. GREG FORBES AND THREE OF HIS COLLEAGUES CREATED A RANKING OF THE MOST HIGH IMPACT TORNADO OUTBREAKS IN THE U.S. FOR THE PERIOD OF 1925-2004 WHICH PUT THE 1984 OUTBREAK AT NUMBER 8 ON THAT LIST !!!…….. THE OUTBREAK OF APRIL 16 2011 IN CAROLINAS AND VIRGINIA CONSISTED OF 35 TORNADOES IN THE TWO CAROLINAS COMBINED.THE STRONGEST OF THAT EVENT WERE 5 EF-3`S .THERE WAS NO E-F4 IN THE OUTBREAK…SO IT WAS NOT AS VIOLENT AS MARCH 28 1984 .IT WAS NOT AS LETHAL AS 1984 EITHER. F-4 IN NORTH CAROLINA AS WELL. THE DIXIE ALLEY TORNADO OUTBREAKS HAVE BEEN THE MOST DEADLY IN OUR NATION SINCE 1950…..ECLIPSING THE CONVENTIONAL MIDWEST TORNADO ALLEY OF TX-OK-KS-MO. 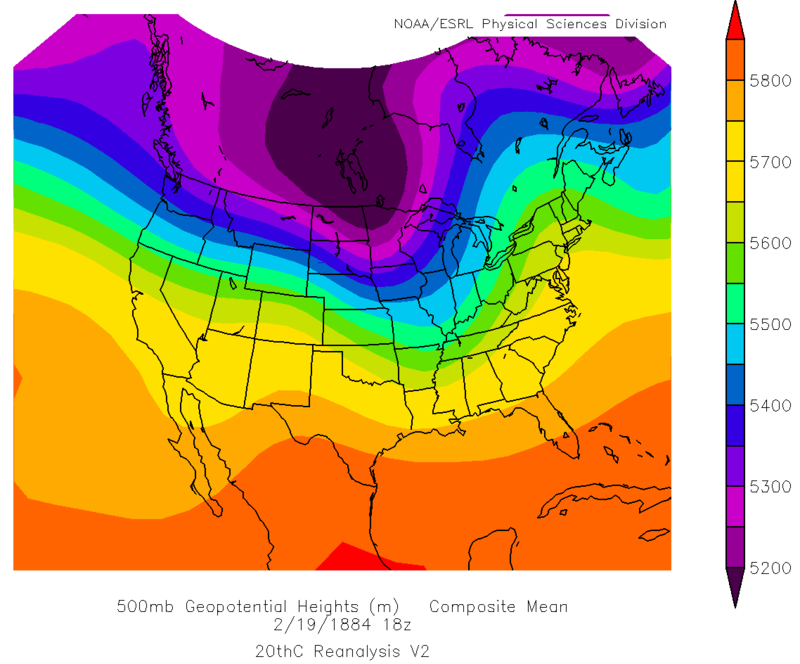 THE TERRIBLE OUTBREAK OF APRIL 27-28 2011 WAS ACTUALLY MORE DEADLY THAN THE INFAMOUS SUPER OUTBREAK OF APRIL 3-4 1974. THE GREAT TUPELO-GAINESVILLE OUTBREAK OF 1936 ACTUALLY CLAIMED 406 LIVES AND INJURED THOUSANDS IN THE SOUTHEAST STATES. I CAN STILL REMEMBER THE 1974 SUPER OUTBREAK HITTING THE NEWS OUTLETS AROUND THE WORLD BACK WHEN IT HAPPENED.THE FIRST PICTURES MY FAMILY AND I SAW IN THE NEWS REPORTS WAS COMING FROM BATTERED XENIA OHIO AND BRANDENBURG KY. WHAT A TERRIBLE TIME IN OUR NATION`S HISTORY.LATER ON WE BEGAN TO SEE THE TERRIBLE IMAGES OF MURPHY NORTH CAROLINA IN OUR MOUNTAINS…LEVELLED BY A HUGE F-4 NEAR THE CLOSE OF THE 1974 EVENT. THERE WAS HAIL 5 INCHES DIAMETER IN SOME AREAS OF OUR WESTERN COUNTIES DURING THE SQUALL LINE`S PASSAGE THAT DAY. THE MOST VIOLENT STORMS DURING THE 1974 SUPER OUTBREAK WERE THE F-5`S THAT RACED THROUGH TANNER AND GUIN ALABAMA….XENIA OHIO….BRANDENBURG KENTUCKY….AND SAYLER-PARK INDIANA……..THE INDIANA STORM HAD THE LONGEST TRACK OF THE 148 TORNADO BLITZ ACROSS 13 STATES AND CANADA. ONE NOTE OF INTEREST IN REFERENCE BACK TO THE 1984 CAROLINAS OUTBREAK THAT MY STATE SUFFERED….THERE WAS AN INFANT BOY WHO WAS TRANSPORTED ACROSS 5 COUNTIES DURING THAT AWFUL STORM EVENT. ON FEBRUARY 22 1971 A LARGE F-3 TORNADO RACED 85 MILES THROUGH THE FAYETTEVILLE NC AREA AND WENT OVER INTO 4 OTHER COUNTIES AFTER LEAVING MASSIVE DAMAGE TO CUMBERLAND COUNTY. SOME OF MY RELATIVES HAD TO MOVE TEMPORARILY FROM THEIR FAYETTEVILLE HOME WHILE IT WAS BEING REPAIRED. TWO OF THEIR NEIGHBORS WERE KILLED BY THAT TORNADO.I REMEMBER A PINE NEEDLE WAS STUCK ALL THE WAY THROUGH THEIR DEN WINDOW BY THAT STORM. A HOME DOWN THEIR STREET WAS COMPLETELY GONE…NOTHING BUT THE BASEMENT REMAINED !!!! WE HAVE OUR OWN CAROLINA ALLEY THROUGH MUCH OF CENTRAL SC AND CENTRAL AND EASTERN NC. THIS IS NOT AN ATTRIBUTE OF OUR GREAT STATE FOR WHICH I AM PROUD TO OWN……BUT I HAVE ALWAYS HAD A KEEN INTEREST IN STORMS. The whole “may have been a tornado family” should be completely discarded. We’ve had enough events to show that prolific events like these likely had 50 to 100 mile tracked tornadoes, if not longer. Sure, long-track tornadoes are relatively common in large-scale outbreaks. But so are tornado families, and in some cases there’s reason to believe there may have been breaks in the paths. I don’t just assume every damage path is a single, continuous tornado because sometimes I don’t have any information to support it. Just trying to be as accurate as I can.